There’s no wonder that black is the colour of elegance for best luxury brand designers. Black brand identities are related to sophistication and glamour. It communicates absolute clarity, with no fine nuances. Besides, it works particularly well with white. Black creates a perception of weight and seriousness. 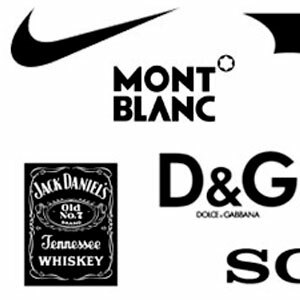 Good brand identity designers now very well the power of black colour in luxury branding design. The colour of the night is perfect because it makes everything more simple; attracts attention at the first time, but it can also give it to others when necessary. It is the king of colours in the luxury battlefield and branding designers know about it. Not only does black mean elagance but it also means freedom. What I mean is that black brands give freedom to luxury clothing designers to do whatever they want in the matter of fashion design. Contrast, diferences and unespected surprises are the esence of elegance. It is the versatility what makes this colour the perfect coice to create mixtures with other colours. It is even more versatile than white. Black will always fit in perfectly with any other colour and will make this secondary colour shine. Professional branding designers love to use the couple “black & white”. It is particulary suitable in luxury fashion clothing because it mixes the glamour and the sobriety of black with the purity and brightness of white. Contrast, diferences and unespected surprises are the esence of elegance.